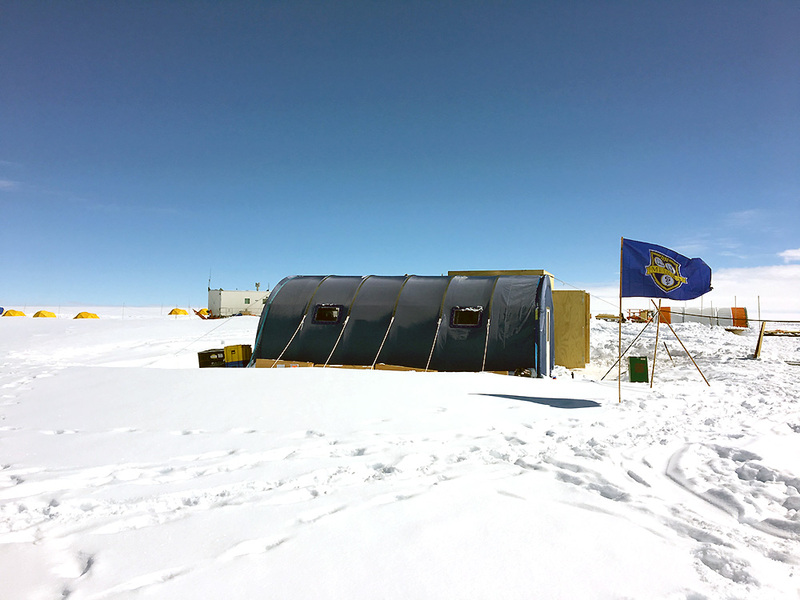 EVER…COLDER: The Meliora flag flies high at the Law Dome research station in Antarctica, where scientists from the University of Rochester are leading a research effort aimed at understanding how human activity has affected the ability of the atmosphere to cleanse itself. One of the goals of the project is to estimate changes in the concentration of atmospheric hydroxyl radicals since the pre-industrial period. Hydroxyl radicals are the main atmospheric oxidant and are responsible for removing reactive greenhouse gases such as methane as well as many pollutants such as carbon monoxide. 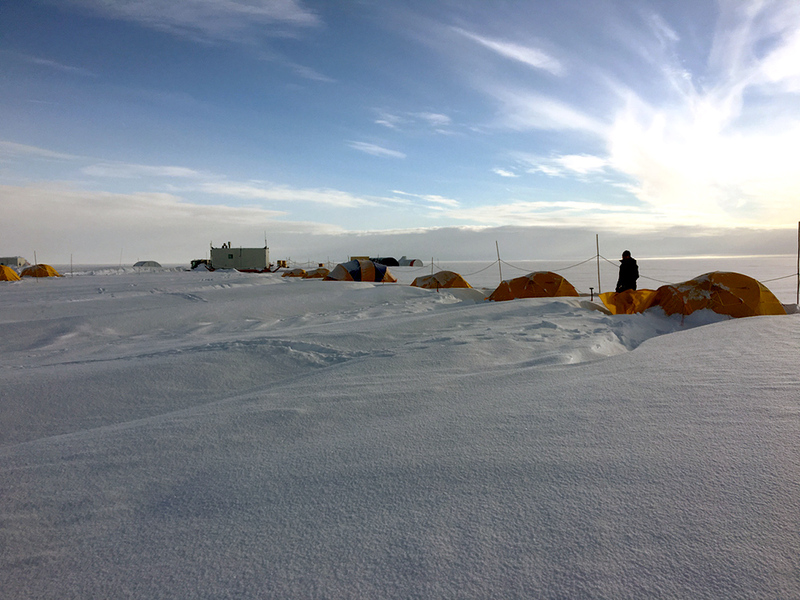 TRAPPED IN ICE: The research team—which includes Vasilii Petrenko, associate professor of Earth and environmental sciences, postdoctoral research associate Peter Neff, and laboratory manager Edward Crosier—recently spent three months in Antarctica. 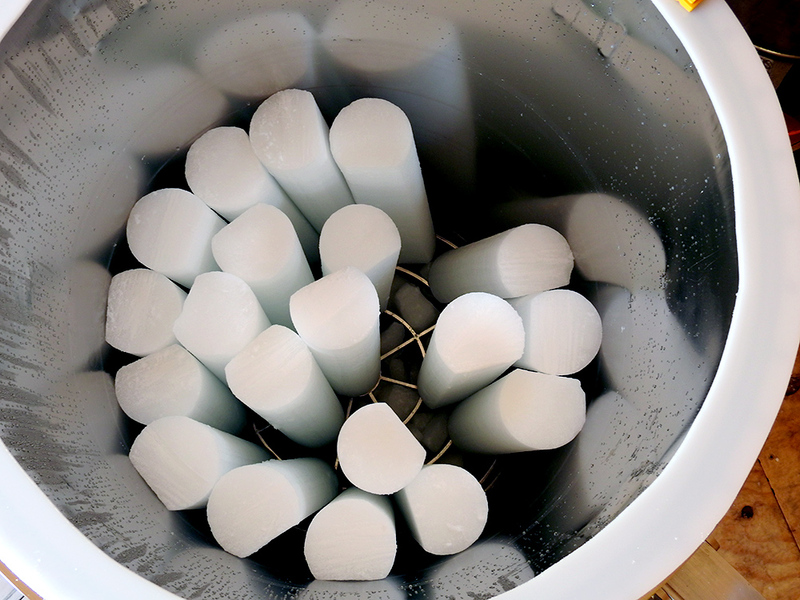 The group drilled more than 1000 meters of ice core and extracted approximately 500 liters of ancient air trapped in the ice. This is a continuation of their research to analyze ice samples for clues about past and present climate change. This research is jointly supported by the US National Science Foundation and the Australian Antarctic Division.